Ah, what I’d do for a nice cup of coffee at a roadside café together with Lotte. Anyway, fanboy fantasies aside, it’s time for Side B of the weekly thoughts! This half has a pretty hefty list of titles, making it a little difficult for me to rank them alongside one another. I’ve come to realize that creating a Side A and Side B based on date of airing has the tendency to do that, but regardless once the two other titles come up, I’ll just add one to each of the sides to keep things balanced. And even if I drop a show or two from one or the other, I’ll keep them in their original arrangement to save me (or readers) the hassle of having to look for my thoughts on a different side throughout the season. tl;dr – the Side A/B style has weird quirks to it, but whatever — I’ll manage it one way or another. So with that out of the way, let’s run down what happened in Side B for this week! I must say, I’m thoroughly impressed at how this show is bold enough to challenge romantic drama staples without falling into the trap of being (annoyingly) self-aware. Introducing a childhood friend turned pseudo-romantic rival may seem like a traditional setup for a love polygon, but Scum’s Wish seems less keen on introducing these overused romantic tropes for the sake of dramatic tension than it is, really, trying to highlight the profound folly of Mugi and Hanabi’s relationship. Although Mugi hints at Hanabi’s provocations towards Moca’s childish possessiveness over him as a form of jealousy, the truth is that Hanabi sees herself in Moca’s incessant pursuit of a love interest who, simply put, isn’t interested in her. And to drive home these frustrations further, Hanabi — and indeed, even Mugi — resort to sexual gratification in order to let out their own emotional frustrations. And take note, none of this feels in anyway distasteful, reflecting more a deep understanding of adolescent psyche and the overwhelming power of emotions that can cloud even the most sound form of judgement. I also appreciate how the show presents Mugi and Hanabi’s relationship for what it is, and even challenges the audience’s preconceived notions of what “normal” relationships are like by contrasting Hanabi’s experience with that of her classmate’s. In the case of the latter, she’s torn between choosing either her childhood friend or an upperclassman, and she even goes on to list out qualities, or as she puts it “specs”, that makes one or the other a better “candidate”. The efforts towards “quantifying” relationships seems almost alien to Hanabi, and this amusingly makes her own distorted relationship with Mugi seem almost ideal. And so the show goes on to further explore the extent to which emotions — and to a greater extent, love — can go beyond the heteronormative notions of what is “acceptable” from societies standards. These are adolescents with emotions that are born out of affectations that even they cannot understand — as such, Scum’s Wish is brave enough to test the waters and navigate through this otherwise controversial topic unfettered. And even at the end of this second episode, it decides to examine homosexuality — not as an abnormality, but as a totally natural, sexual, adolescent phenomenon. This is a refreshing change of pace from the conservative notions of the Japanese psyche and is, as far as I can tell, something I have yet to see graced this openly in the anime format. 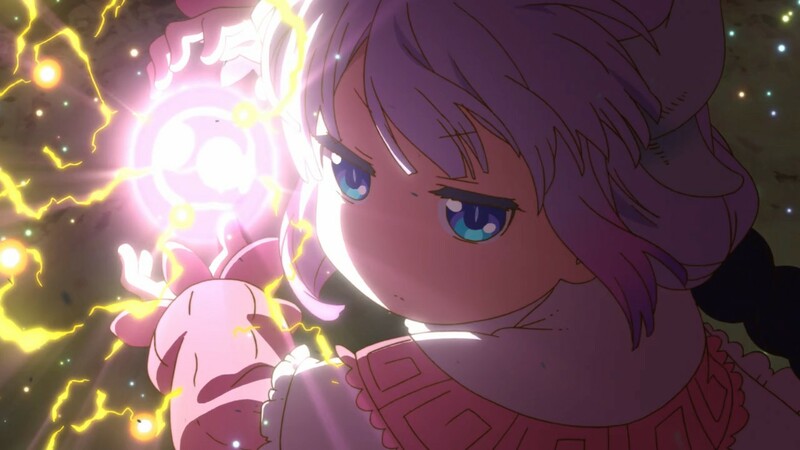 Every episode is an adventure with Little Witch Academia, and at two episodes in, the show keeps things energetic and action-packed whilst allowing for some generous amounts of screen time to focus on the character motives of Akko. Unfortunately, I feel like a bit of characterization was skipped between Akko, Lotte, and Susy. 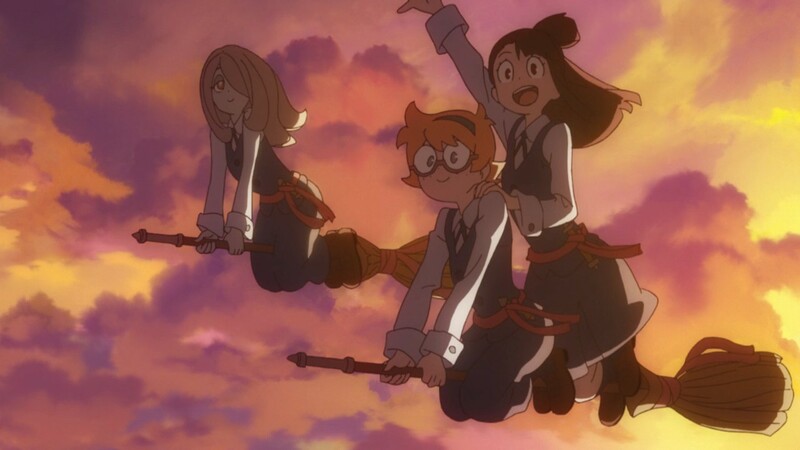 Indeed, many people might have already been familiar with the camaraderie that is shared between these three, but those new to the series might find it odd to see such a cooperative Susy given she practically left Akko and Lotte for dead in the enchanted forest. But regardless, we’re introduced to Diana, the ostensible Ojousama of the series and indirect rival of Akko. But by the end of the episode, it’s quite clear that there’s a depth to her character that betrays the tropiness of her character stereotype. Diana is, indeed, a high-strung, no-nonsense type of person, but even she understands the importance of giving merit where it is due, hence her hesitation when the faculty praised her for restoring the Jennifer Memorial Tree to its former glory. 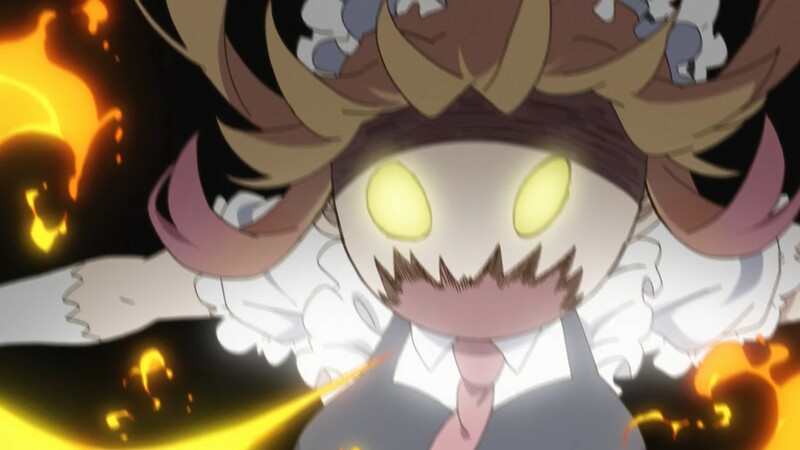 All of this highlights the underdog approach of Little Witch Academia, and how the core theme of the show is how even the most humble of people — a non-witch, even — can bring about hope that can serve as an inspiration for others. It’s a very classic theme brought to life by a vivid expressiveness that only Trigger can bring to life. This episode wasn’t perfect, but that doesn’t make it any less of an experience to watch. 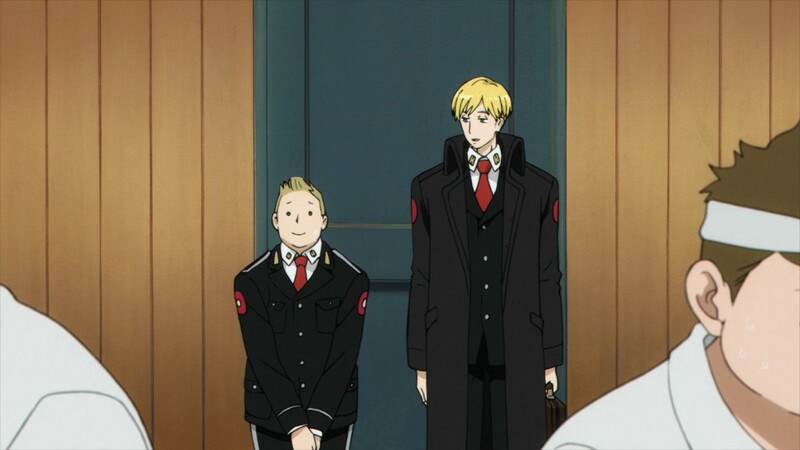 Anyway, this week’s episode of ACCA was just as slow as the first, but it ratchets up the intrigue a bit by introducing tension between the higher ups in the nation by hinting towards a bubbling coup d’etat. And although it was obvious that Nino was the spy assigned to trail Jean, there’s a smartness to the show’s execution that almost makes you wonder if there is merit to the suspicion of Jean being involved with the rebels. This was achieved through similarly smart dialogue with ingenious framing, both of which served to increase the complexity of the world and its characters. Furthering this was an interesting trip to what looked like something out of Gulliver’s Travels with large people (and similarly large produce). Though these are very small things, all of these add up to the uniqueness of the world of ACCA. Indeed, it takes a little effort to piece together the things at stake, but that makes the character drama all the more rewarding once things start to click into place. So far so good for this character drama about auditors. Can’t wait for what’s in store next week! Ah, so it’s one of THESE shows. 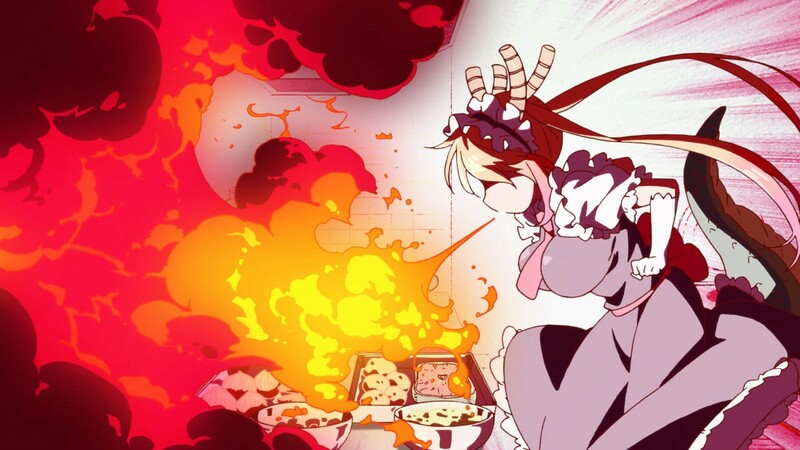 Classifying Miss Kobayashi’s Dragon Maid as a flat-out comedy might be a misnomer, given that this second episode made it quite clear that there is a heavier backstory that belies its otherwise nonsensical premise. 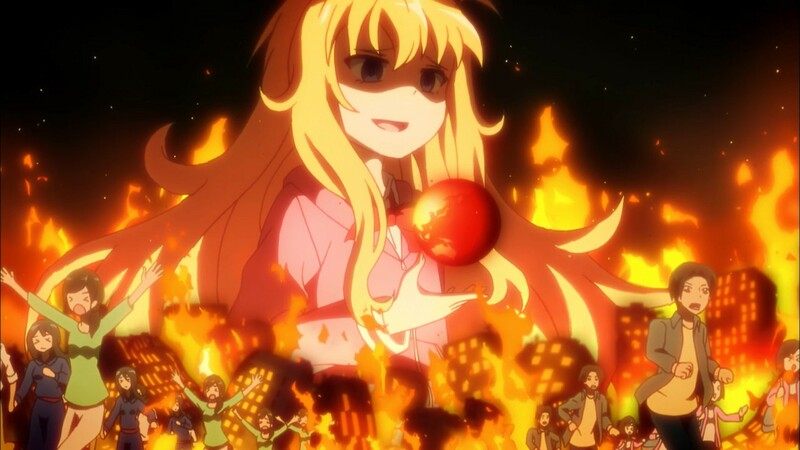 Because as a comedy, the show will always be working from the overt joke of these girls are REALLY dragons, and all efforts to remind the audience of this fact is exemplified by Kobayashi’s Manzai-esque rebuttals. But such comedic banter is probably best served by Kyoto Animation’s acute grasp on the nature of comedic timing and execution. 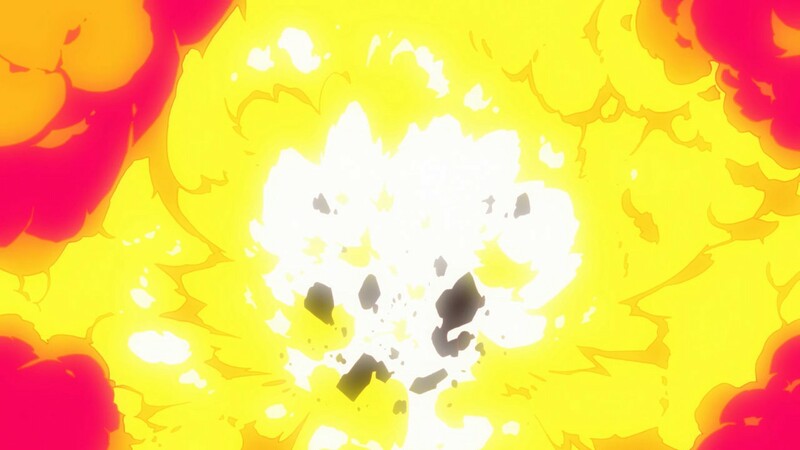 We can see this best in the very first sequence of the second episode where the overt joke of blowing up breakfast is presented as a recollection after the fact. In the recollection, we are presented with split frames that sequentially depict the silliness of Tohru’s actions. 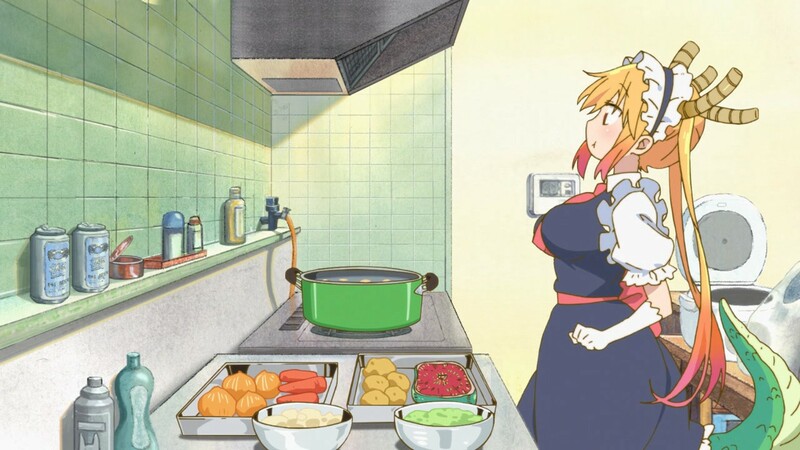 This style emulates a comic book-styled gag sequence that actually heightens the comedic tension through its abrupt form of revelation, as opposed to one smooth animation sequence. So it helps that the show has a keen grasp of comedic timing, which helps to sell the otherwise silly gags. And this is heightened by god-tier animation spectacles as seen in Tohru and Kanna‘s “playtime” scene. But beyond this is an odd mix of dry comedy that acts as a sort of metaphysical joke towards modern society. 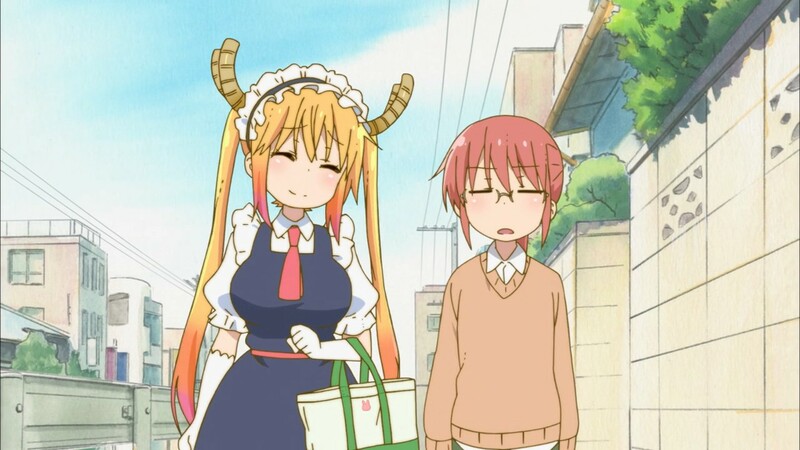 Kobayashi has always been depicted as a slave to the modern machinery, and jokes like Tohru being able to socialize better with humans than Kobayashi is an oddly painful elbow to the side of the modern day psyche. 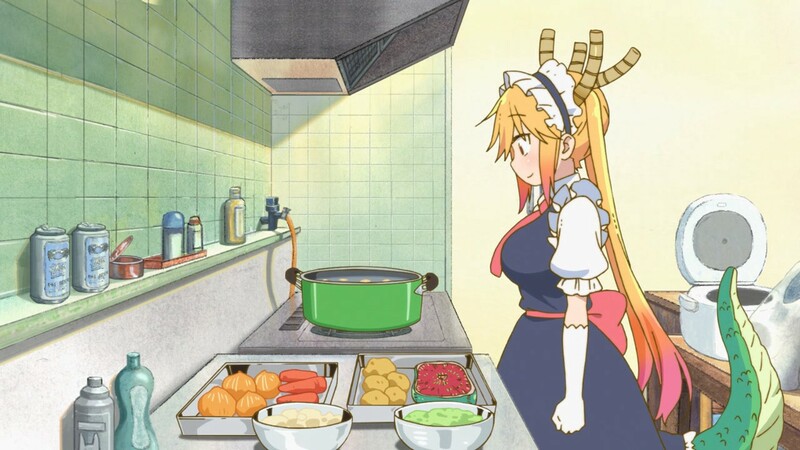 And this concept of alienation in a society you are otherwise a part of is mirrored in Tohru’s mentioning of her wish to escape her own world. 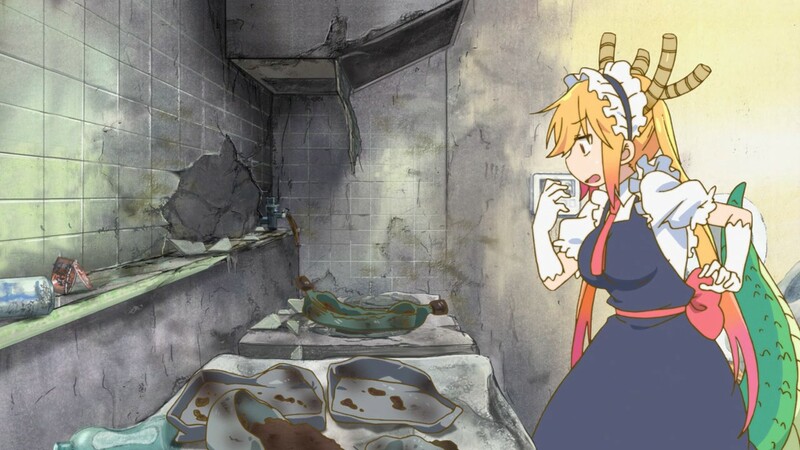 In short, Miss Kobayashi’s Dragon Maid has a clearly escapist sentiment to its comedy that comes across, intriguingly, as a charged introspection into the alienating nature of modern day society. It’s pleasing to know that even senseless comedies like this can have a little meat to them if you want it to. And with that in mind, I’m happy to say that this show is doing pretty well as Kyoto Animation’s entry to the Winter line up. And there you have it! Whew, it’s cool that I can squeeze in a bit more than I usually do given I’ve split the weekly thoughts column into two separate posts. Do you guys like this format better? Do share your thoughts! Until next week, ciao! Your description of ACCA: 13-Territory Inspection Dept. makes me want to take a look at it. 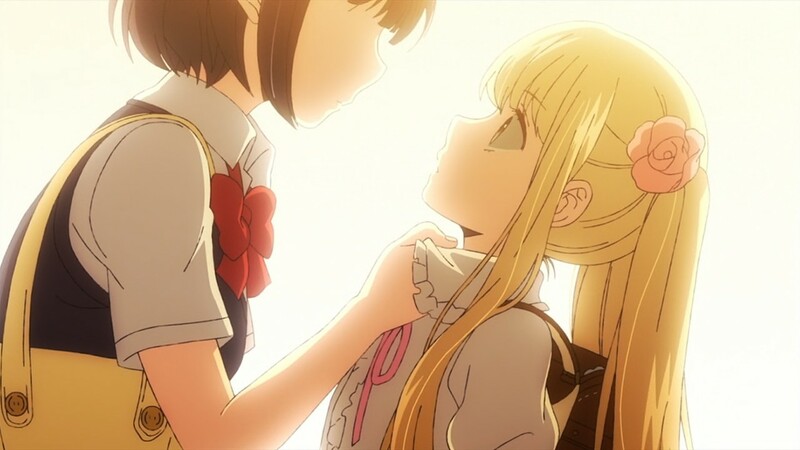 As for others, Scum’s Wish is certainly proving to be the most interesting anime this season. Indeed, ACCA is interesting to say the least, but its slow pace may make it a little tentative for any skeptical viewer. Regardless, I find the overall feel of the show within my liking. The music is just great, complimenting the smokey, water-blotted colors, and the lanky aesthetic are all very flavorful. Definitely worth a shot if you want something a little different from the typical “moe” that is post-bubble anime. I think this format is great, but you should stick with whichever one that works for you! Thanks for sharing. I think I’m in agreement with a lot of what you said!